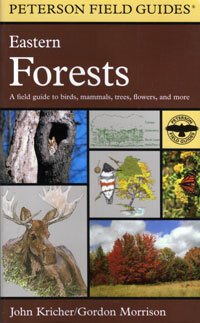 An all-in-one easy to carry volume, includes all of the flora and fauna you're most likely to see in the forests of eastern North America. Trees, Birds, Mammals, Butterflies, Amphibians, Mushrooms and more. Kricher and Morrison. 1998. sc. 492 pages.